You have spoken! 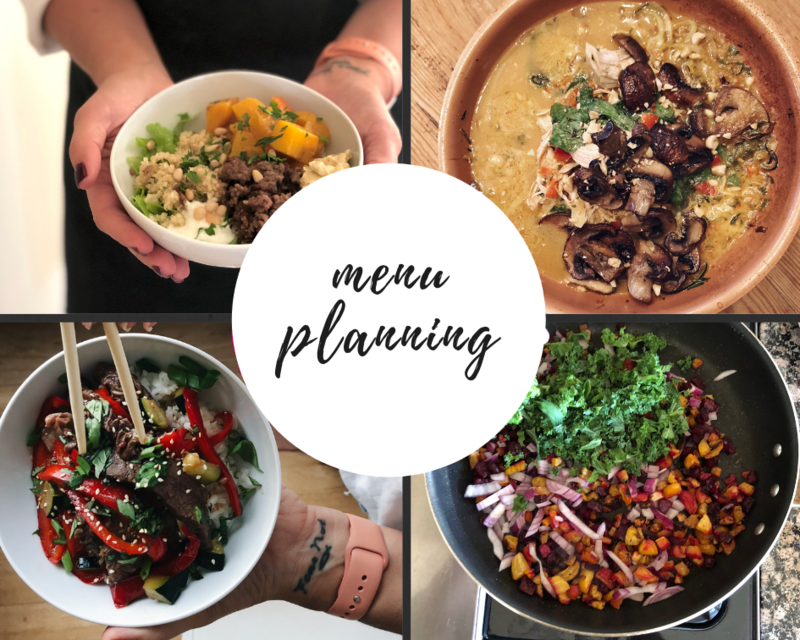 For awhile a post on the subject of menu planning has been in the back of my mind, so when I put it out there on Instagram, I was thrilled to hear from many of you…I loved your feedback! Many of you said YES you were interested in both new recipes and the idea of planning it in advance. No lie, it saves me on weekly basis! Menu planning might just be the one routine in my house that I don’t deviate on. For those who know me, I’m a bit fly by the seat of my pants with most everything, but the years have shown me that knowing in advance what I’m going to be making (and thus, being prepared and having the ingredients on hand) is kinda life changing! When I’m not prepared, there’s a bit of a domino reaction. I’ll hem and haw as to what to make and then when I hone in on something, inevitably I’ll be missing ingredients. The result is a run to the grocery store where…I’ll grab what I need plus a couple things I don’t lol! It’s just stressful. The benefits of menu planning are completely worth setting aside some time one day a week. It doesn’t have to take long! My routine is to sit down every Wednesday evening, choose my recipes and then make up my shopping list. Once I’ve done that, I place my order online with Spud and my groceries are delivered either Friday or Sunday (whichever day I choose). It’s so simple. This doesn’t mean you have to order your groceries online. But if you make your list at the same time as you plan your meals, you’ll be ready to go grocery shop at a moment’s notice. I have a bit of template I use on a given week (of course, everything is subject to change based on our week’s activities). The constraints that we have to work around are schedule and diet. Lexi has volleyball practice 4 days a week where she has to be out of the house at 5:15pm. My strategy is to make something that works well for leftovers…so she’s a day behind us on the dinner calendar, eating the leftovers from the day before. On the diet front, Nina is celiac. The “mains” of our meals are always gluten free and I usually do a carb side for the guys that Nina and I will skip. That’s only four nights! Well, we tend to go out once or twice a week…and often on Sunday nights, I’ll make breakfast for dinner (my kids love it….waffles or pancakes and they’re stoked). If not, I’ve listed some other fresh recipes below that I’ll make. 2. Instant Pot Dinner (another option here is the crockpot…just get it started in the morning). If you’re running against the clock, the instant pot is your friend. It cooks so ridiculously fast, even frozen meats. It’s also perfect for nights when we’re all eating at different times. I made this Thai Peanut Ramen and whoah. It was so so good. The flavours. And guys, there are such a thing as gluten free ramen noodles! Some other options are Lemongrass Chicken, or Chicken Tacos. 3. Entree Salad. Anyone hear me when sometimes you just crave a massive salad filled with good stuff? In order for the fam to be on board, they need to be hearty! I always have a grilled protein that can be added…whether bbq’d steak or chicken, or fish. An incredible fall edition of an entree salad is this Fall Harvest Honeycrisp Apple and Kale Salad (oh my goodness it is unreal!) or Glazed Beet and Carrot Salad (This can be prepped the night before so you can just throw it all together before serving). In fall, substitute mango for peaches with this Peach Bocconcini Salad with Crispy Pancetta. A Blackened Steak Salad is also so easy and quick to prep too (ugg, the pics are old, but we still make this salad and love it!) When this is on the menu, I like to make a yummy gf carb on the side like these Gluten Free Biscuits. 4. Super Simple Meal. Guys, we love tacos. They must be done! Taco Tuesdays are often a thing. I usually try to up the ante a bit though. The fam loves this Coconut Rice to add to their tacos. Another great way to elevate your tacos is to make a yummy slaw (I actually skip the tortillas and make a taco salad) like the pineapple one included in the coconut rice link above. 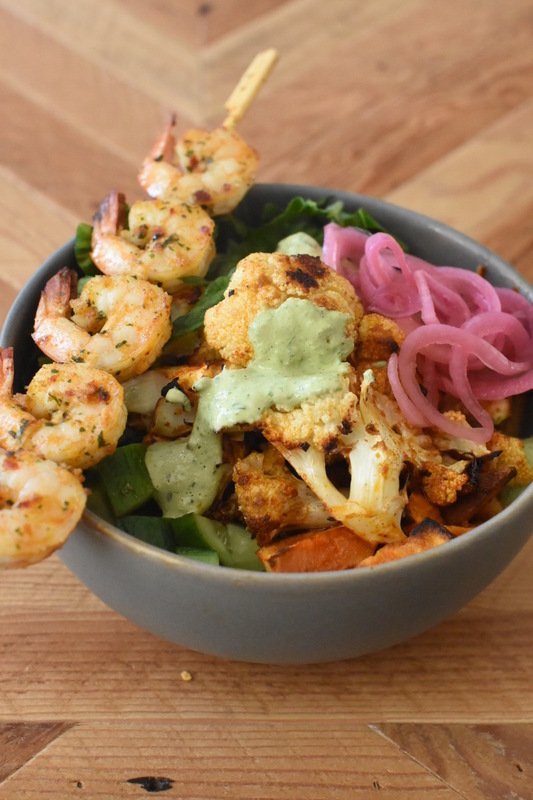 Or make a giant taco salad with romaine and this cilantro dressing. It’s easy to change up your proteins with Taco Tuesday…try it with ground turkey or grilled fish. 5. Other dinners we favour around here: Sausage Beet Hash. Ohh…so fresh and colourful and the leftovers are so yum! Easy Greek Sheet Pan Chicken Souvlaki, Winter Caesar Salad with Prawns, Roasted Cauliflower is a favourite side dish to serve with grilled chicken/steak/fish . Another favourite? Turkey Burger patties from Lepp Farm Market (gluten free and served on lettuce or gf bun), topped with a fresh salsa made of strawberries, pineapple, red onion, cilantro, mint, jalapeño and the zest and juice of one lime! 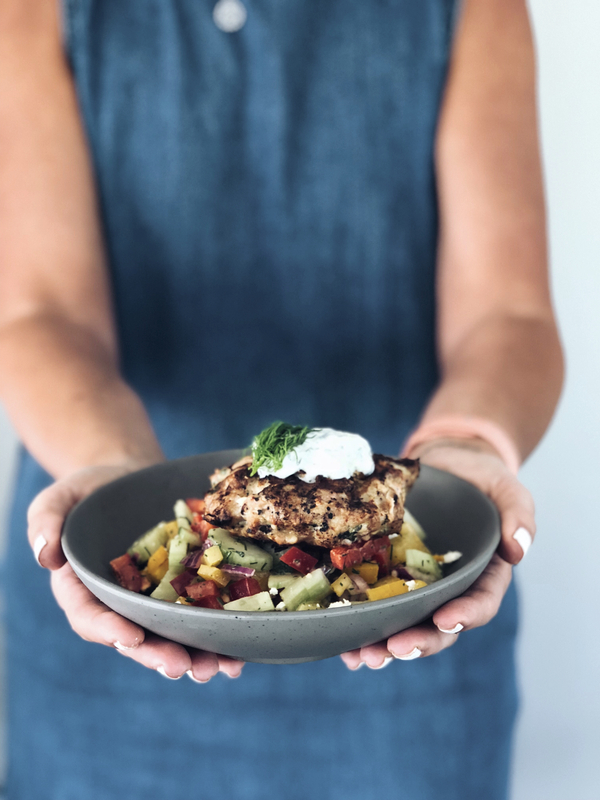 Given the time, make these homemade Greek Turkey burgers and serve atop a greek salad (pictured below). 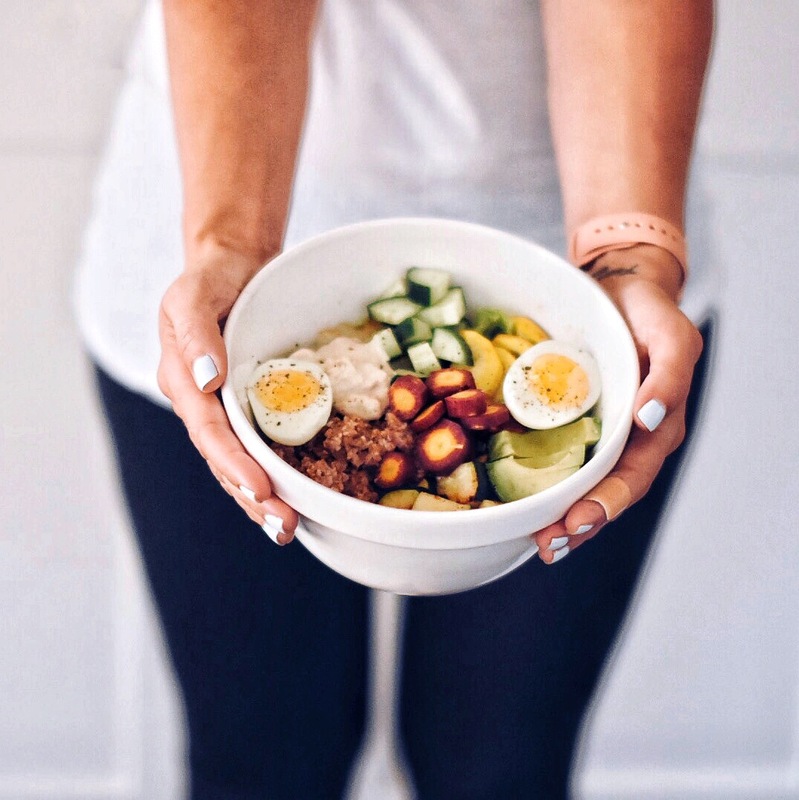 Bowl dinners are a go-to around here! Have I inundated you with recipes? I hope not! Sometimes, we all get in a rut and need to get some new recipes into the roster, right? The cool thing with using the loose template that I suggested, is that it gives you a starting point. Most of the recipes I have suggested are open to substituting different proteins, or veggies or carbs. And all are gluten free. If you have a favourite recipe, I’d love for you to share it! If any of you are considering ordering your groceries online, I am loving Spud. It’s where I get much of my fresh food every week! If you would like to give it a shot, I thought I’d pass a referral code on to you…this code gives you $20 off an order of $50 or more. Just enter CRVAN-EDWLAC on the checkout page at Spud. Yay!